You may have noticed I have tried to post this properly a few times now... SORRY!! 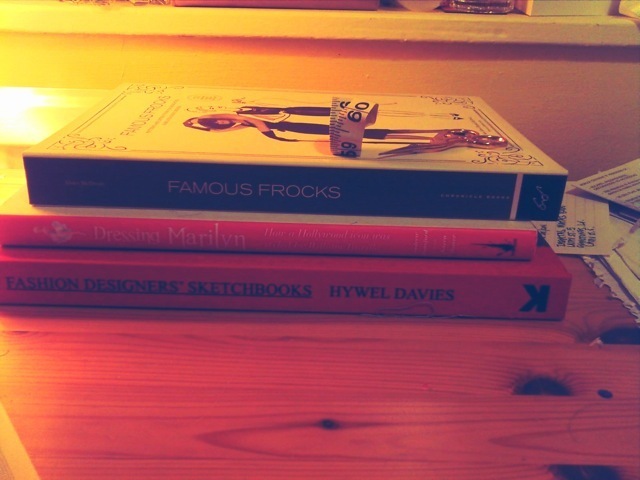 Over the Christmas and New Year period I managed to acquire some new lovely books, to inspire and hopefully get me into the creative spirit, which I have been lacking recently. I have some ideas, but just can't bring myself to actually do them, but this is all going to change. The three books, Famous Frocks, Dressing Marilyn and Fashion Designers' Sketchbooks, are so gorgeous to dive into with gems of ideas and details, Famous Frocks has 10 patterns for iconic dresses such as Audrey Hepburn's Little Black Dress from Breakfast at Tiffany's and Marilyn Monroe's white dress from The Seven Year Itch. I cannot wait to make myself some of these little outfits, I've got so much fabric sitting in boxes I'm sure I'll even be able to make some for almost nothing! 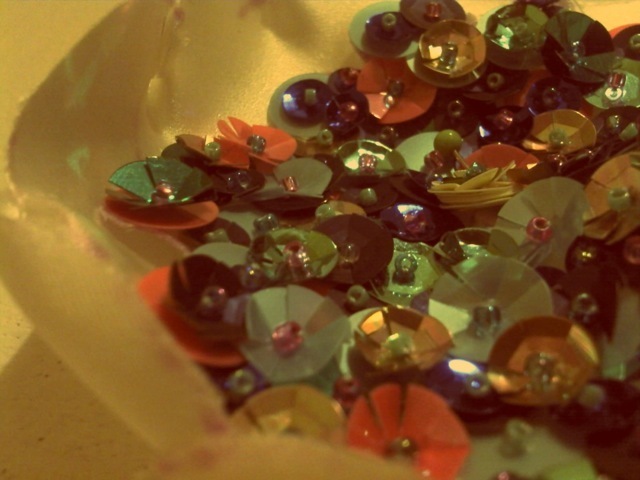 My sister is also getting married in about two weeks, and she is 8 months pregnant, so that means baby things and wedding things all at once, hopefully I will manage to make all the lovely little things I'm planning but here are the flowers I have made for her wedding day, she can choose her favourite, and I will wear the others! I couldn't resist getting a little bit carried away! My sister's dress is a gorgeous navy number from here: http://www.tiffanyrose.com/ it is the Sienna Dress, and it is very glam! 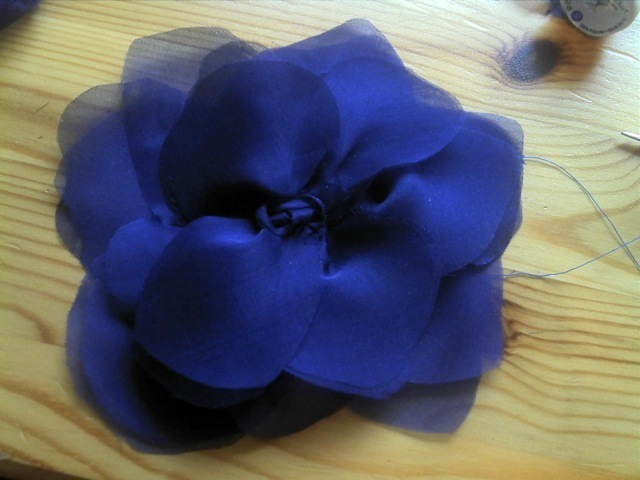 I have made this navy silk chiffon flower either for her to have a subtle flower on the day, or for me to wear on my white blazer. Well I got a teeny bit carried away with this one, a sequin encrusted number with accents of gold and hot pink against various shades of blue on a white silk satin background, it may be a bit much for the wedding, but I'm sure it will brighten up the wintery days to come! 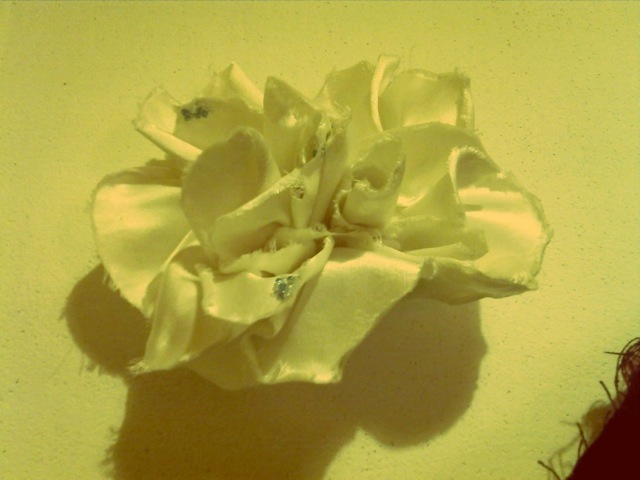 This is the flower I have designed specifically for my lovely sister, it is ivory silk satin for contrast and I have scattered some pale blue and clear beads with pale blue thread running through them on some of the petals for some added sparkly goodness! 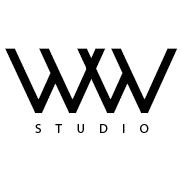 I may have to draw it in a little to make it a bit smaller, but we shall have a trial run, and I will post the photos!! Anyway, lots more to do.... Oh and if you like the flowers and think I should make more let me know... @kate_gwilliam on twitter, or on here or go to www.kategwilliam.com for more contact!